They are two of the most recognisable women in the world, both renowned for their passionate activism – and with very high-profile husbands to boot. So it is little surprise the Duchess of Sussex and Michelle Obama got along famously during a private meeting. The pair discussed everything from female empowerment to pregnancy tips during their 15-minute chat in London. 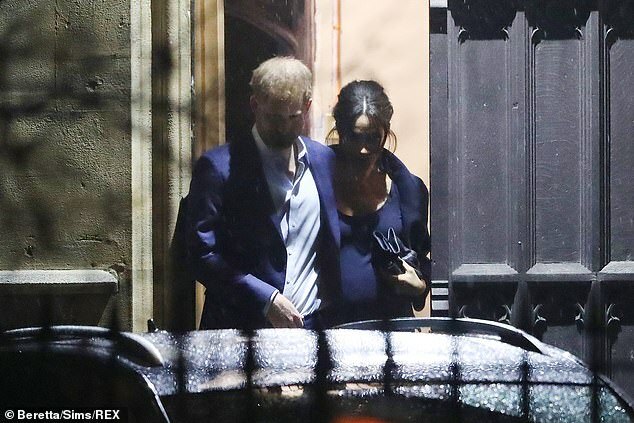 Meghan, whose baby with Prince Harry is due in the spring, secretly met the former first lady on Monday. Mrs Obama, 54, had just given a sell-out speech at the Royal Albert Hall to publicise her autobiography, Becoming. Meghan slipped into the audience with an aide and low-key security to listen to the talk in a ‘private’ capacity. 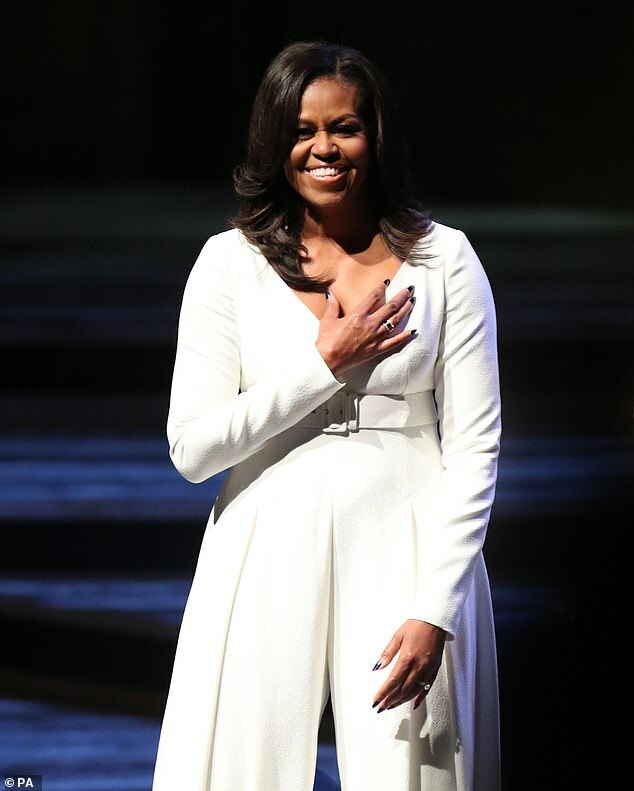 Afterwards she went backstage and had a one-to-one with Mrs Obama about supporting women globally, female education, pregnancy and raising children. It is understood the women, who hadn’t met before, formed a ‘strong bond’ and plan to keep in touch. Their meeting came after Mrs Obama had offered the duchess advice about coping with her public role in an interview with Good Housekeeping magazine. She had urged the 37-year-old ‘to take some time and don’t be in a hurry to do anything’. Harry is very friendly with the Obamas and last year interviewed former US president Barack Obama in his role as guest editor of BBC Radio 4’s Today programme. The Daily Mail understands Meghan plans to put education for women in developing countries at the heart of her public work when she announces her first royal patronages next year. She has been having secret briefings with a number of organisations, such as Camfed – the Campaign for Female Education – which works in several African countries, including Zambia, which was visited by Prince Harry recently. The couple are said to be keen to work together on the issue in their role as roving Commonwealth youth ambassadors. Meghan is a passionate advocate of Camfed, which tries to alleviate poverty and inequality through education. The duchess also met Zimbabwean-born Angeline Murimirwa, one of the first girls to go to secondary school with the organisation’s support and now its African executive director. Mrs Lake said: ‘As an organisation our team very much represents what we are working towards and that was why the duchess was interested to meet with us.